An Android-powered slider may not be the only phone BlackBerry has pegged for Google's mobile OS. Following the leaks of a device codenamed "Venice" that's said to be offered in both Android and BB10 versions, a video of the recently announced Passport Silver Edition surfaced. 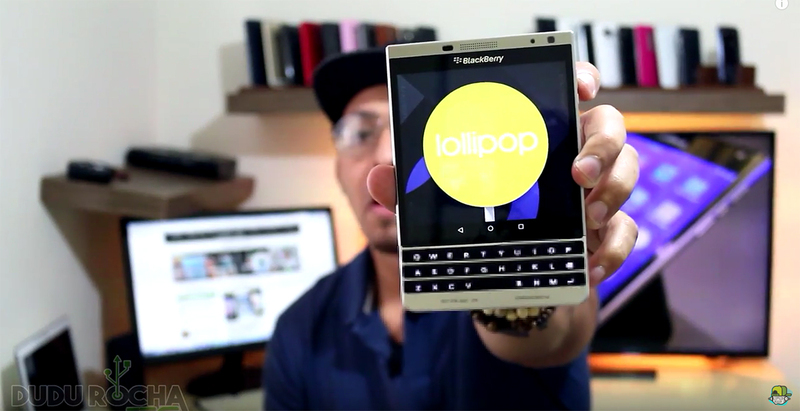 The square QWERTY handset isn't running BlackBerry's software, though, it's sportin' Lollipop. In the video from Dudu Rocha Tec., a prototype version of the new Passport is equipped with what appears to be stock Android. It'll be interesting to see if this phone also packs in some of BB10's notable features like Venice is rumored to do. BlackBerry hasn't tipped its hand on Android devices just yet, so we'll have to wait and see if another model of the silver Passport will be the second model that'll tempt those who prefer Google's mobile software. BlackBerry is already working with Mountain View on a more secure enterprise version of Android, and a number of reports indicate that the company is planning it's own Lollipop (or Marshmellow) phones in the near future.